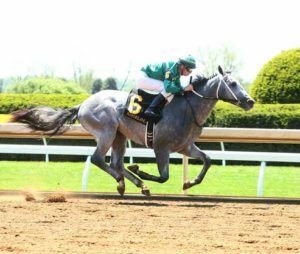 Texas-bred Direct Dial, a colt by leading Texas stallion Too Much Bling of Valor Farm, rolled to a 7 ¾-length win on April 26 in a $60,000 maiden special weight race at Keeneland. Ridden by Florent Geroux for trainer Steve Asmussen and breeder/owner W.S. Farish, the 2-year-old clocked 4 ½ furlongs in a quick :51.65 in his career debut. Direct Dial, who was prepped at Keith and Marilyn Asmussen’s El Primero Training Center in Laredo, Texas, earned $36,000 for the win. He sold for $105,000 to top last year’s Texas Summer Yearling and Mixed Sale at Lone Star Park. Direct Dial is out of the Mineshaft mare Fast Find, who has produced three other winners by Too Much Bling: $71,434 earner She has Bling, $88,232 earner and Texas Thoroughbred Futurity winner Shaded, and $113,006 earner and Bara Lass Stakes winner Scooter’s Choice. Fast Find, in foal to Too Much Bling, also went through that same sale at Lone Star, where she sold from Lane’s End Texas to Ken Carson, agent. To view a video of Direct Dial’s race, click here and select race 2 on April 26. 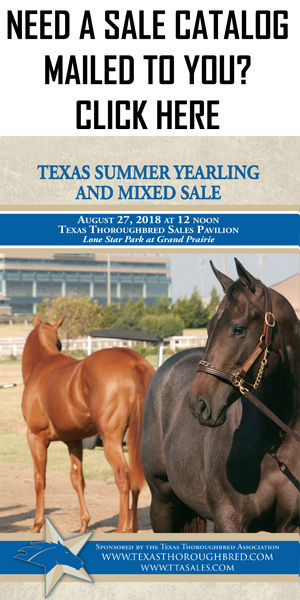 The Texas Thoroughbred Association has announced that the Texas Summer Yearling and Mixed Sale will be held Monday, August 21, at the Texas Thoroughbred Sales Pavilion on the grounds of Lone Star Park. Last year’s auction marked the first to be operated by the Texas Thoroughbred Association in partnership with Lone Star Park and recorded substantial increases over the final Texas yearling sale operated by Fasig-Tipton in 2014. The sale-topper was a Texas-bred colt by leading Texas sire Too Much Bling who sold for $105,000. 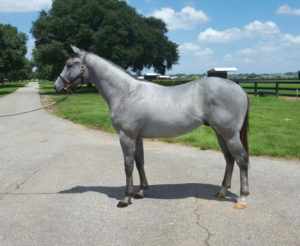 “Our 2-year-old sale last year has already produced several stakes winners, and over the years this yearling sale has done the same, mostly recently with multiple graded stakes winner Texas Chrome, so we look forward to having another quality catalog this year,” said Mary Ruyle, executive director of the TTA. A Texas-bred colt by Too Much Bling sold for $105,000 on August 29 to top the Texas Summer Yearling and Mixed Sale held at Lone Star Park. The auction, held by the Texas Thoroughbred Association in partnership with Lone Star Park, marked the first Texas yearling sale since Fasig-Tipton held one at the same location in 2014. The yearling session recorded gross sales of $611,800 with 63 of 92 head sold for an average of $9,711 and median of $2,500. The buyback rate was 31.5 percent. Those results compare favorably to the last Texas sale, when 79 of 120 yearlings sold for $578,600 with an average of $7,324 and median of $4,200. The mixed session this year, which included a dispersal of stock from Lane’s End Texas, recorded 28 sold for $167,700 with an average of $5,989 and median of $2,700. The sale had to pause for a short time during the yearling session as a strong thunderstorm passed through the area. The delay was to ensure the safety of the horses and handlers, and the TTA and Lone Star Park provided an open bar for attendees during that time. Trainer Danny Pish purchased the $105,000 sale-topper from the consignment of Lane’s End Texas, agent. The colt is out of the Mineshaft mare Fast Find, who has produced two stakes winners by Too Much Bling, Scooter’s Choice and Shaded. The second-highest price was also a Texas-bred by Too Much Bling consigned by Lane’s End Texas. The filly out of the stakes-producing Geri mare Red Cell went to Keith Asmussen. Too Much Bling formerly stood at Lane’s End Texas and for the 2017 breeding season has been relocated to Valor Farm near Pilot Point, Texas. A colt by Uncle Mo went to $155,000 during the yearling session but did not meet its reserve. In the mixed session, two broodmares sold for $45,000 to Ken Carson, agent, as the highest price. One was Paddle Out, a daughter of Valid Expectations in foal to Congaree, and the other was Fast Find, the dam of the sale-topper. The Texas 2-Year-Olds in Training Sale will return in the spring with a date to be announced. Live video of the Texas Summer Yearling and Mixed sale will be available starting at 12 noon on Monday, August 29. 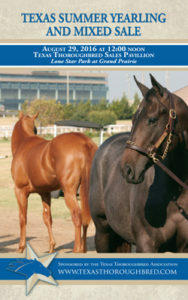 The auction will be held at the Texas Thoroughbred Sale Pavilion on the grounds of Lone Star Park near Dallas. CLICK HERE TO VIEW THE LIVE VIDEO. TTA office staff will be traveling to the Texas Summer Yearling and Mixed Sale on Saturday, August 27 and will be back in the Austin office on Wednesday, August 31. The Sale Office phone number is 972.237.4886 and fax number is 972.237.5257. Sales Director Tim Boyce may be reached at 972.523.0332 and Mary Ruyle may be reached at 512.695.4542. DO NOT FAX ANY SALE-RELATED DOCUMENTS TO THE TTA OFFICE (512.453.5919) AFTER 4PM ON FRIDAY, AUGUST 26TH – – SEND YOUR FAX TO 972.237.5257. The Texas Thoroughbred Association and Lone Star Park are pleased to announce the return of the annual Pre-Sale Party on Sunday, August 28 in conjunction with the Texas Summer Yearling and Mixed Sale set for the following day. This event provides a casual atmosphere in which to enjoy drinks and hors d’oeuvres in the company of other consignors and buyers. We expect the party to be very well attended, and a sponsorship provides a great opportunity to promote your business to a select group of potential clients. Our current sponsors include: Asmussen Horse Center, Ronald A. & Margaret Ellerbee, Ivy Rose Equestrian, Valor Farm, Lon Wiggins Racing Stable, American Racehorse, Bluebonnet Feeds and Stride Animal Health, Cameron Training Center, Cinder Lakes Ranch/Rick Ford, Double Infinity Ranch, Keene Thoroughbreds LLC, Glorianna Farm (Ed Few), Pony Up Technologies, Inc., Stanton Stables, and Stoneview Farm (Sue Dowling & Craig Upham). We invite you to join in the fun and also to participate with a table sponsorship and/or a door prize donation, such as books, pens, koozies, hats, t-shirts or other logo/promotional items. Simply complete this form and email, mail or fax to the TTA office no later than August 22nd. If you have any questions, please call the TTA office at 512.458.6133. Thanks, and we look forward to seeing you at the sale. The Texas Thoroughbred Association announces it has hipped 106 yearlings, 21 broodmares, nine weanlings and two horses of racing age for the upcoming Texas Summer Yearling and Mixed Sale to be held on August 29 at 12 noon at Lone Star Park. The online catalog is now available. This will mark the first yearling sale in Texas since Fasig-Tipton last held one at the same location in 2014. Sire power dominates the catalog with two Uncle Mo yearlings along with a plethora of other top national and regional sires. The Uncle Mo yearlings are accompanied by top national sires Awesome Again, Dunkirk, Exchange Rate, Into Mischief, Langfuhr, Lookin at Lucky, Paddy O’ Prado, Stephen Got Even, Street Boss, Temple City, Tiz Wonderful and Warrior’s Reward. Texas stallion Too Much Bling, whose offspring Shaded and Bling on the Music just swept both divisions of the Texas Thoroughbred Futurity at Lone Star Park earlier in the month, leads the Southwest contingent of sires. Other regional sires represented include Chitoz, Euroears, Grasshopper, Half Ours, Intimidator, My Golden Song, Run Production, Star Guitar, Valid Expectations and Yankee Gentleman. Emerging sires such as Dominus, Crossbow, Justin Phillip and Liaison are also represented. All yearlings from this sale will be eligible to be nominated to the Texas Thoroughbred Futurity in 2017, which will be run in two divisions for an estimated purse of $100,000 apiece at Lone Star Park. The mixed sale session features a dispersal of broodmares from William S. Farish’s Lane’s End Texas, which recently announced its closing. The dam of Shaded, the recent Texas Thoroughbred Futurity winner, is included in this lot. Weanlings and yearlings are also included by Lane’s End Texas stallions Too Much Bling and Grasshopper, who will stand the 2017 breeding season at Valor Farm in Texas along with fellow former Lane’s End Texas stallion Congaree. 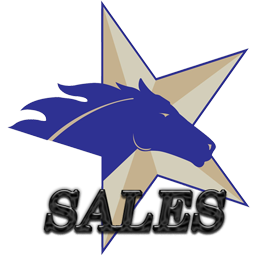 The Texas Thoroughbred Association announced today that entries for its Texas Summer Yearling and Mixed Sale have surpassed 100, and entries are still being accepted. The sale, which is held in partnership with Lone Star Park, is set for August 29 at the Texas Thoroughbred Sales Pavilion on the grounds of the Dallas-area track. This will mark the return of a summer yearling auction to the state after a one-year hiatus of the auction formerly run by Fasig-Tipton. The TTA also announced changes to the eligibility requirements for the Texas Thoroughbred Association Futurity. Currently the list of entries includes yearlings by top Texas stallions Congaree, Too Much Bling, Grasshopper, Intimidator and My Golden Song, as well as Oklahoma stallions Euroears and Oratory. The sale also features entries sired by prominent nationally-ranked stallions Uncle Mo, Street Boss and Lookin at Lucky. The mixed session will offer mares by A.P. Indy, Kingmambo, Pulpit, Summer Squall and Valid Expectations. The Texas Thoroughbred Futurity, which will be run for the first time this year on July 9 at Lone Star with divisions for fillies and colts/geldings at $100,000-estimated apiece, will have an eligibility change for next year’s race. Each yearling, no matter where foaled, that goes through the ring at the sale is eligible to be nominated to the Futurity. Additionally for every yearling that goes through the ring, its consignor and buyer will each receive a berth, which they can use to nominate an accredited Texas-bred foal of 2015 to the Futurity. Berths can only be used by the original consignor or buyer and cannot be transferred. “We think this change will raise the value of horses in the sale, and it also serves as an extra incentive for horsemen to participate as a buyer or consignor,” said Boyce. The Texas Thoroughbred Futurity took the place of the race formerly known as the TTA Sales Futurity. The Texas Thoroughbred Association is pleased to announce that a mixed sale session has been added to the Summer Yearling Sale to be conducted on August 29 at Lone Star Park. This will mark the second sale held by the TTA, which in April held its first 2-Year-Olds in Training Sale. Fasig-Tipton formerly managed the Texas sales in partnership with the TTA and Lone Star Park. The 2-Year-Olds in Training Sale posted positive results with the average increasing more than 5 percent compared to the last auction held by Fasig-Tipton and buy-backs dropping to 19.7 percent from 33.3 percent. The entry deadline for both the yearling and mixed sale sessions is June 6. The TTA has mailed out consignment forms, and they are also available by clicking here. 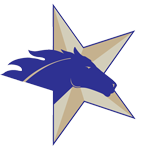 The Texas Thoroughbred Association has announced that it will hold a yearling auction on August 29 at Lone Star Park near Dallas. The announcement comes on the heels of a successful Texas 2-Year-Olds in Training Sale in April. Like the 2-year-old sale, the yearling sale will take the place of the auction formerly operated in partnership with Fasig-Tipton. For more information and a consignment contract, click here.